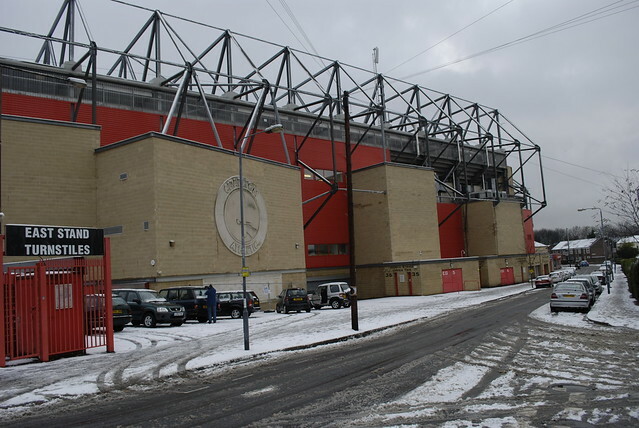 Charlton Athletic have asked for help in clearing the snow around The Valley in advance of their Boxing Day match with Southampton. Anyone who can assist is asked to visit the main reception at 11am on Sunday Thursday – with a shovel if possible. Managing director Stephen Kavanagh said the club was making every effort to ensure the match went ahead – but did not have the staff to cover all areas of the ground. “We’re constantly talking to the police and Greenwich Council about the roads and the pavements, but there are some areas, such as behind the south and east stands, which need attention, and we simply don’t have the resources,” he said. He said the “worst-case scenario” would be having the pitch playable – but the match still being called off because of conditions around the ground. Conditions have eased in south-east London over recent days, but with the weather remaining unpredictable, the club and match officials will review the situation early on Christmas Eve. The Addicks’ away match at Hartlepool was one of the scores of matches postponed at the weekend because of the bad conditions nationwide. For more details, visit cafc.co.uk. Next Article Which minicab to get this Christmas? I think you’ll find that volunteers should assemble at 11.00 on Thursday, not Sunday as you report.